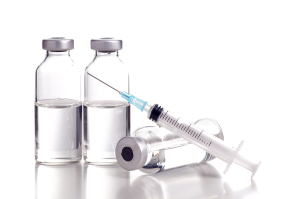 Is Your Senior Having a Negative Reaction to Immunizations? ← Why Is Salt So Bad for Your Elderly Loved One? Homecare Oakland TN – Is Your Senior Having a Negative Reaction to Immunizations? Helping your loved one protect their health is one of the most important things that you can do in your journey as their family caregiver. While there are many things that you can do to achieve this, encouraging them to get the immunizations that they need is one of the most valuable. Each year throughout the world, immunizations are responsible for saving millions of lives. Elderly adults tend to have immune systems that are lower and less effective than those of younger adults. This means that they are more vulnerable to serious illnesses and have a more difficult time overcoming them if they do contract them. Immunizations protect your parent from conditions that can be extremely dangerous for them as they age in place. While immunizations are valuable, it is vital as their family caregiver that you recognize the potential of side effects. While not all of these are serious, they can be uncomfortable. Helping your parent to handle them, and knowing when you might need to contact the doctor, can help to prevent serious consequences for your loved one. A cool compress to the injection site can ease these symptoms, while an over-the-counter pain reliever can help your parent to manage longer-term discomfort. Talk to their doctor about how you can help your parent to deal with these mild effects. When your parent is going in for immunizations, make sure that you discuss the potential for side effects, what to look for in case of a serious reaction, and what you should do if you notice the effects so that you are prepared to monitor your loved one in the days following their immunizations. Starting elder homecare for your aging parent can be one of the best decisions that you can make for your senior throughout the course of your caregiver journey with them. An elderly homecare services provider can be in the home with your parent on a customized schedule to ensure that they are with them to give them the specific care services they need while also ensuring that you remain in control of their care routine. Through a set of highly personalized services this homecare provider is able to help your loved one remain safe, healthy, happy, and comfortable while also pursuing a lifestyle that is as active and independent as possible. As a family caregiver, this can give you greater peace of mind knowing that your senior loved one will have everything that they need to maintain a fulfilling, engaged quality of life as they age in place. This can not only ease your caregiver stress, but can also enable you to better focus your energy and attention on the efforts that you are able to give your senior to ensure that they are as effective as possible and to support a strong, meaningful relationship. For Homecare Services in Oakland TN, please contact the caring staff at Personal Care Services MidSouth today! This entry was posted in Homecare Oakland TN, Personal Care Tips and tagged Homecare Oakland TN. Bookmark the permalink.